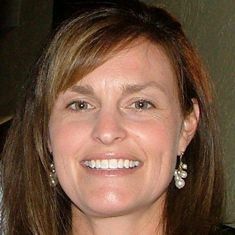 Katie DiCesare has worked as an educator for over 20 years in a number of roles including kindergarten, first, and second grade, primary literacy support and middle school math teacher. How can you support the “outliers” in classrooms — students with unique needs or profiles who don’t neatly fit into any instructional group? Shari Frost offers some strategies. 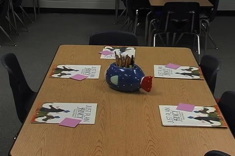 Jan Burkins and Kim Yaris share three questions teachers should ask themselves when guided reading groups aren’t going well. Shari Frost writes about the “Level A Purgatory” many kindergartners and young students endure when teachers assign reading groups too early. Her feature includes other instructional options beyond small groups for early in the year that may be more appropriate for our youngest learners. In this reading conference from a 2nd grade classroom, Linda Karamatic pairs two children who have similar needs in reading. In this video of a first-grade guided writing group, Katie DiCesare works with three girls on spelling issues that have emerged in their writing. Katie DiCesare brings together a group of her first-grade students who are reading nonfiction, helping them to expand the ways they share what they are learning with classmates.